This post is sponsored by DecoArt. I only work with brands I know, use, and love, so you can trust that the information I share is reliable. 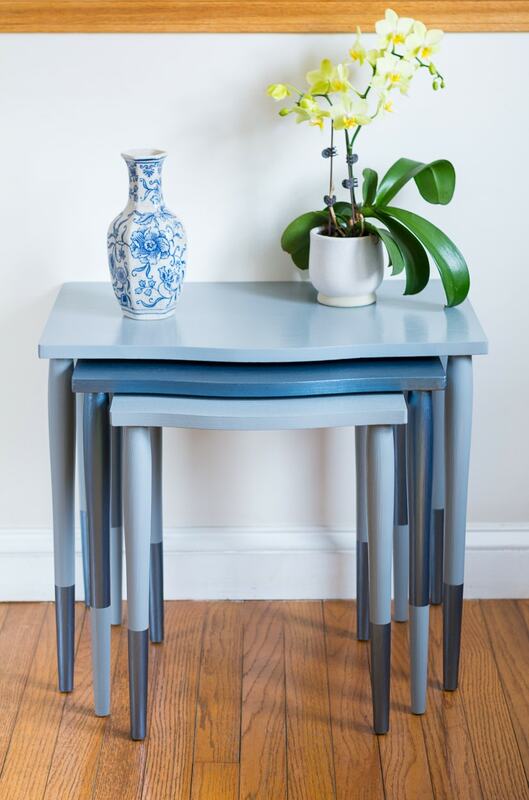 This project is featured in a roundup of my 10 best painted furniture projects. This post also contains affiliate links. You can read more about that here. Thank you! 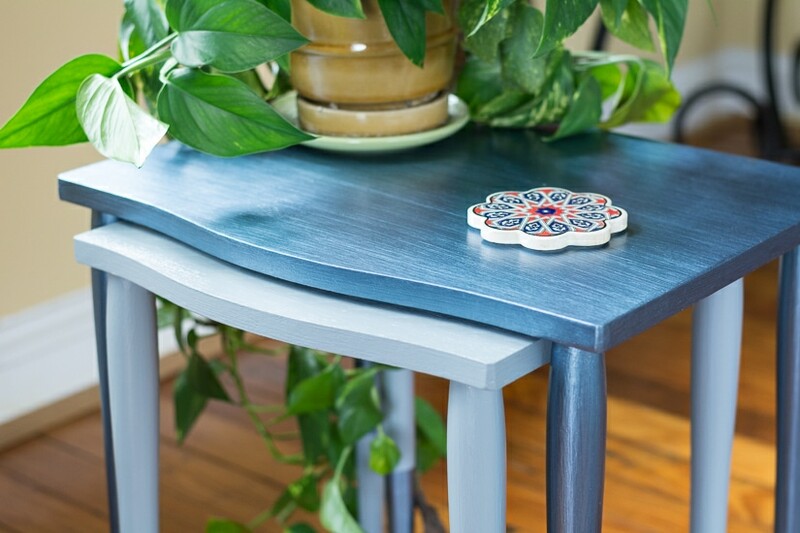 If you’ve ever checked out any of my past furniture refinishing projects, you know that I’ve been a big fan of DecoArt and their Americana Decor paints for a while. That’s why I am so excited to be partnering with them today to share some of their amazing new paint lines with you! 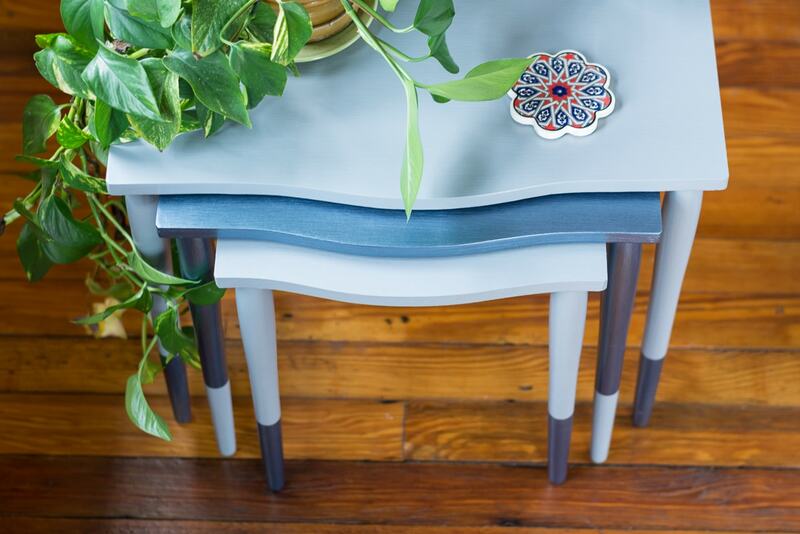 These products are so new that they don’t even have landing pages up yet on DecoArt’s website, but the links above will take you to their product description pages, where you can learn more about how you can use these paints and what colors they’ll come in. Today, however, I want to talk specifically about working with the Metallics line. Metallics are a great way to give pieces a unique look and make them pop in a room. 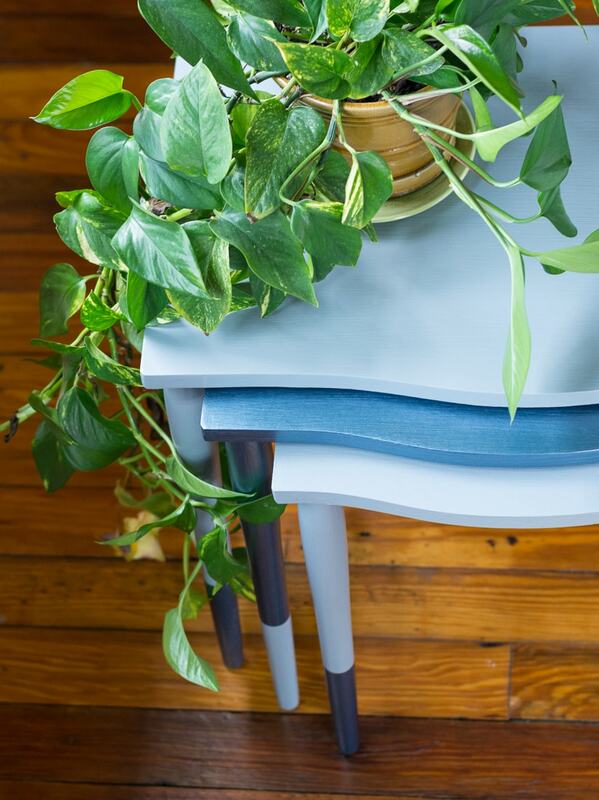 If you’re more conservative with your approach to color and decor, don’t worry—using metallic colors to accent pieces is also a great and very trendy option. The Metallics are perfect for both subtle accenting and full-coverage applications.They go on quite transparent and can be easily layered to achieve a uniform metallic finish with an even sheen. Offered in 14 colors, the Metallics line cures to a durable finish and is available in 8-ounce wide-mouth jars. 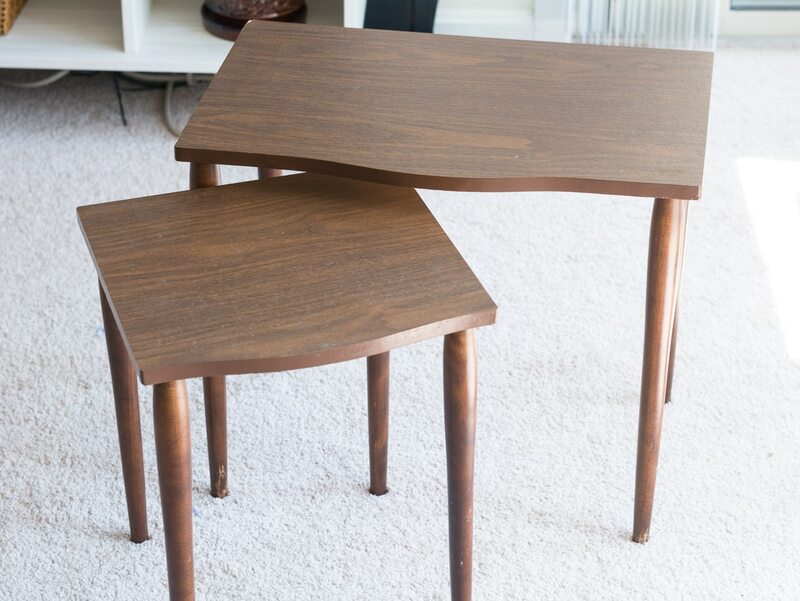 And here is how I made over my $10 nesting tables! As you can see, the tables had a layer of laminate that was a little beat up and has some minor bubbling, so I actually sanded the tops of each table down completely and primed them. This won’t be necessary for all projects; I just wanted to ensure I had a blemish-free space to paint. For each table’s legs, I just did a light hand sand and quick coat of primer. Step 2: Using my chip brush, painted the first coat of paint on the medium-sized table. 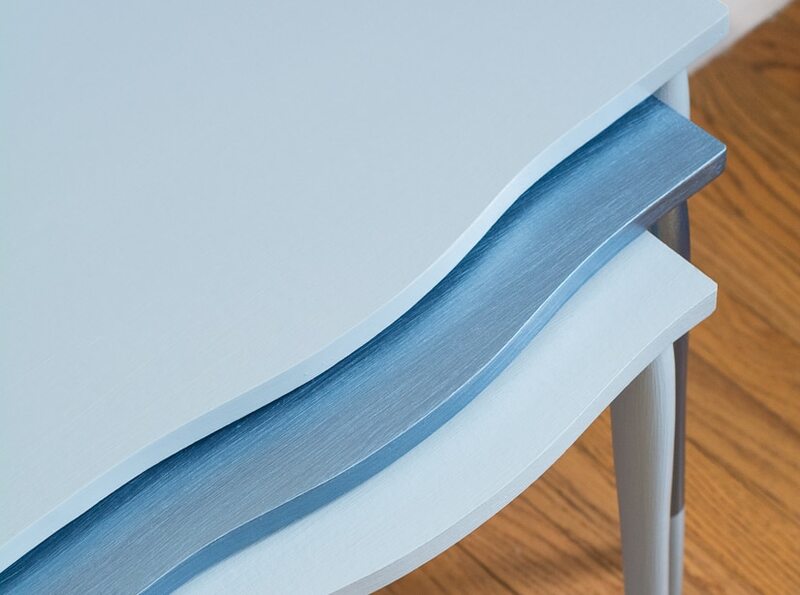 (I did the large and small tables using the Satin Enamels color in Smoke Grey—I’ll do a separate post detailing the Satin Enamels application process!) As you can see, the Pewter color is actually quite blue. 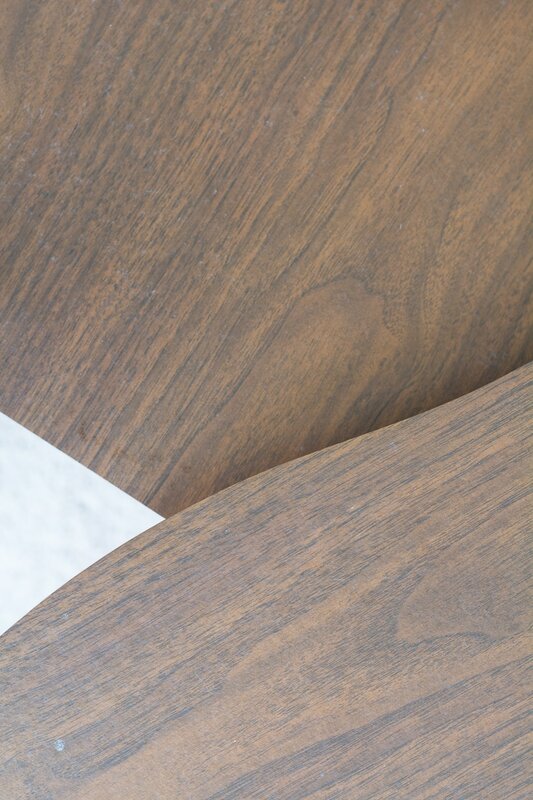 If you want an opaque finish, this is not a one-coat paint, so know that going in. Here’s the first coat after it dried. 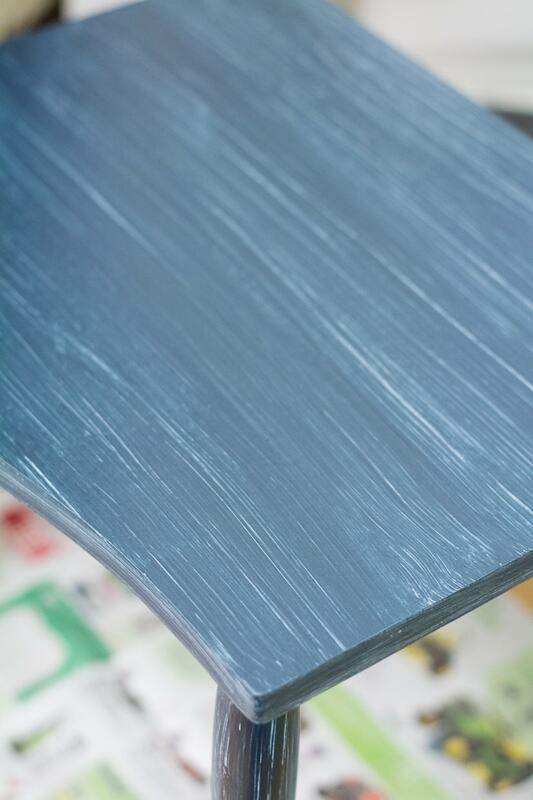 Step 3: The paint’s directions recommend lightly sanding between coats to achieve the highest possible metallic sheen, so I gave my table a quick once over using 220-grit sandpaper, then I wiped it down and brushed the second coat on. With this color, two coats might be fine for some projects. However, there were still a few streaky areas on my piece and a few white primer spots sticking out, so I did another light sand and applied a third coat. Step 4: I wanted to do a dip effect on the legs, so I taped them off using Frog Tape. 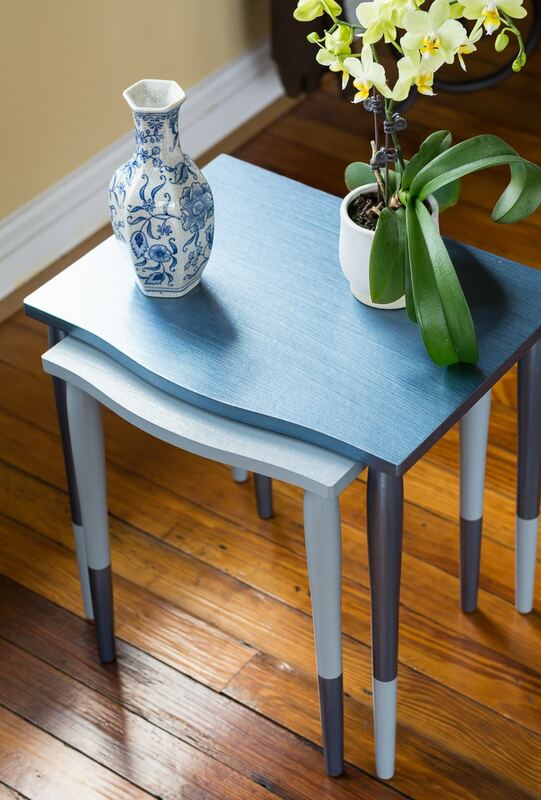 Then I used Pewter to accent the legs on the small and large tables that I’d painted using the Smoke Grey paint. Vice versa on the medium-sized table that I painted Pewter. 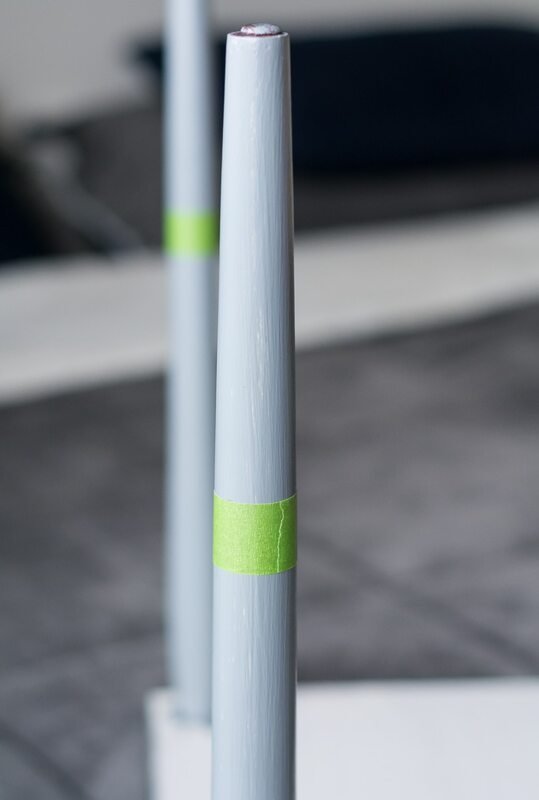 Taping tip: Carefully peel the tape off as soon as you’re done painting the first coat. That way, you’ll ensure you get a nice clean line. 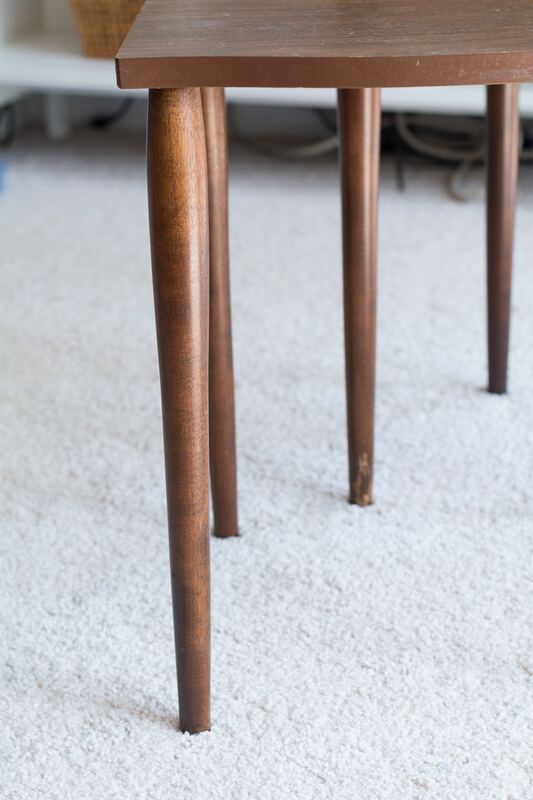 For the second coat (and third coat, if you need it), just re-tape the leg and repeat. Easy. And here are the final tables! I’m so happy with how these turned out! 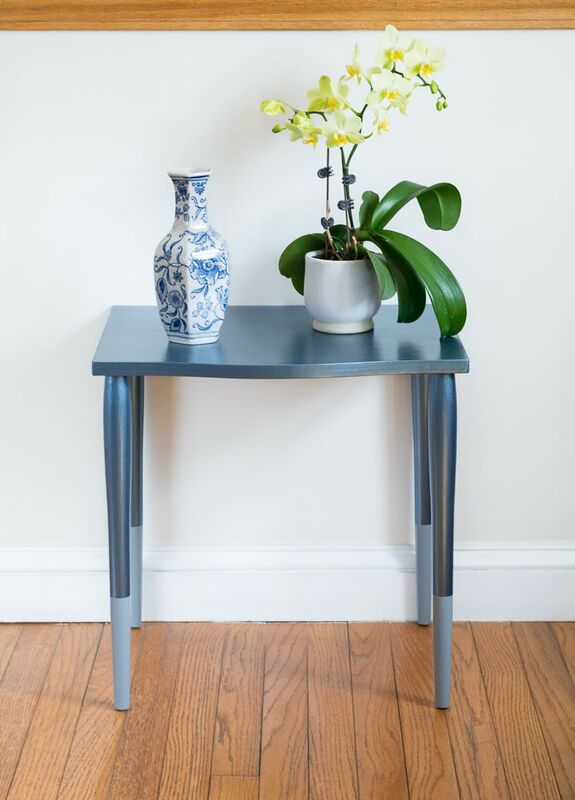 Remember, the Metallics line paints (and the Satin Enamels line paints) cure to a durable finish and do not require a final top coat like the Americana Decor Chalky Finish paints do. 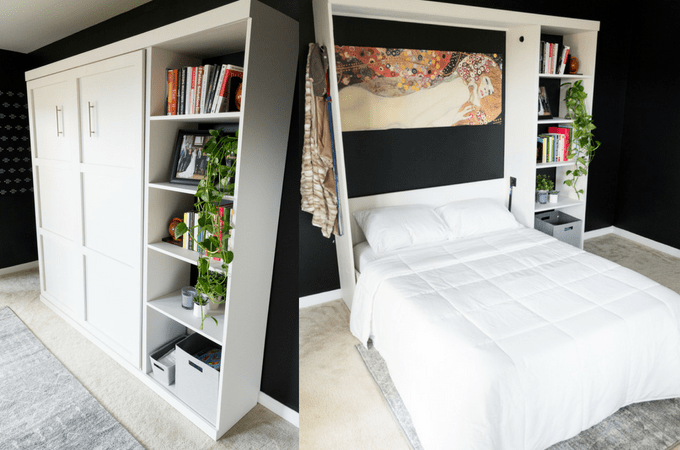 I hope this post has inspired you to try out the new Americana Decor Metallics line! I enjoyed working with it, and I think you will, too. 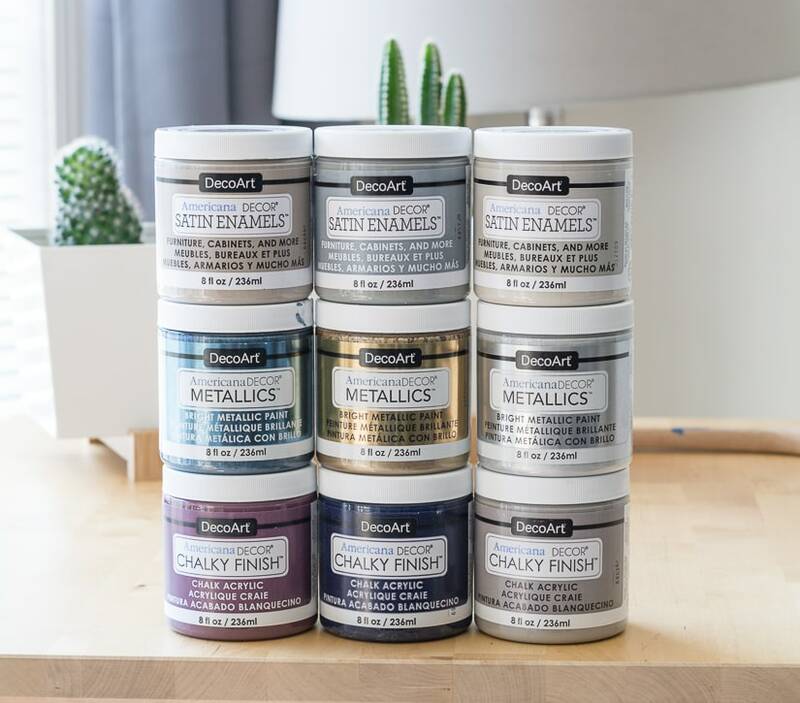 If you can’t wait to get your hands on these paints, Jo-Ann Fabric and Craft started carrying the Metallics line in March. Metallics will also be coming to A.C. Moore by June 24th and will eventually be available in the DecoArt Online Store. Those are GORGEOUS!! I can hardly believe that you only paid $10 for them! As always, thank you for sharing your talent and inspiring so many who would like emulate projects like these. How did you like this paint? I am quite interested to see that they have an outdoor line. You should do a project using one of those next! Hi! Thank you! <3 I really liked the paint, especially that it comes in so many metallic colors instead of just one gold, one silver, and maybe a brown/bronze. I am going to share a post about the Satin Enamels line next week, so definitely pop back over to check that out. And I agree, I need to get my hands on some of the outdoor paints, too! 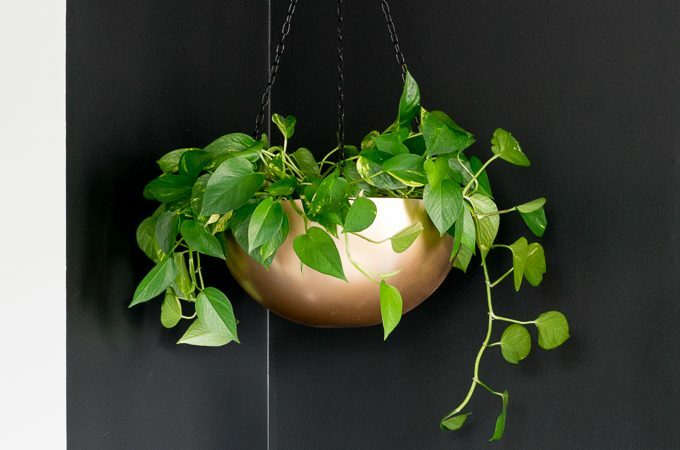 I just finished a plant hanger for my balcony, and they would have been perfect for that! Americana Decor does have some awesome colors! These look amazing! I love the colors, the dip effect, everything about them. The pewter is especially lovely. Thanks, Lisa! I thought the Pewter would be a bit more silver, but it actually ended up going really well with the Satin Enamels color. Gorgeous!! What a steal makeover! I love metallic colors but most of the ones I’ve tried come out dull or don’t have a smooth finish. Definitely doesn’t look like the case here. I’ll have to try this brand. Thanks! Thanks! 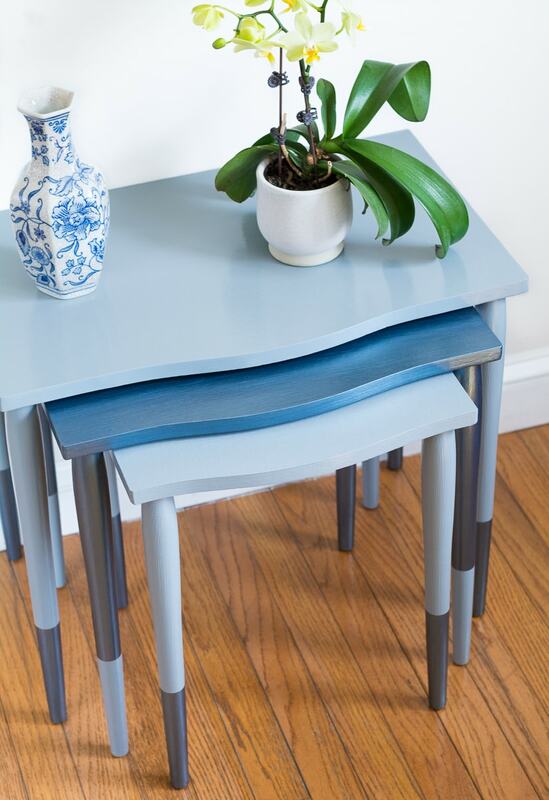 Yup, I think it’s hard to get a smooth finish with metallics that aren’t spray paints, but this is a great option! These are AWESOME!!! Yeah! Thanks for sharing!!! It is easy! 🙂 Just start with a simple piece like a little table. 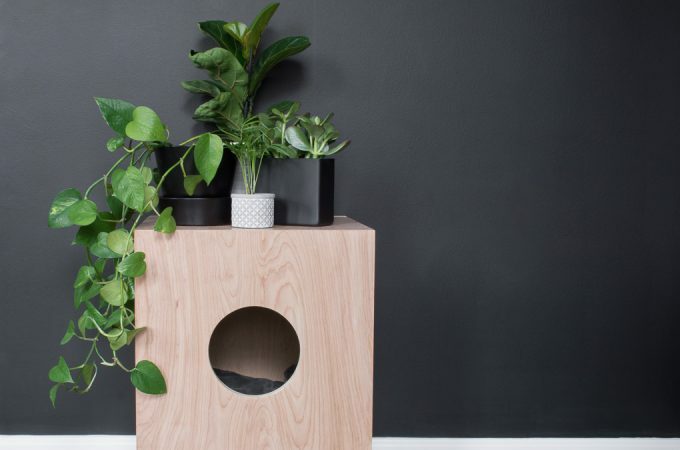 Things like chairs and stools can be harder because there are more nooks and crannies. Can’t wait to try paint. What if you do want to put a top coat or say polycrylic? Does it interfere with the metallic effect? Or if you polycrylic your piece do you need to sand it afterward, prior to applying the metallics? Thanks so much! Found your post super helpful! Hey Ashleigh, glad you found me! I would suggest sealing the chalky finish paint with the polycrylic, sanding lightly between polycrylic coats for the smoothest possible finish (just read the instructions on whatever type you choose in case they are slightly different!). 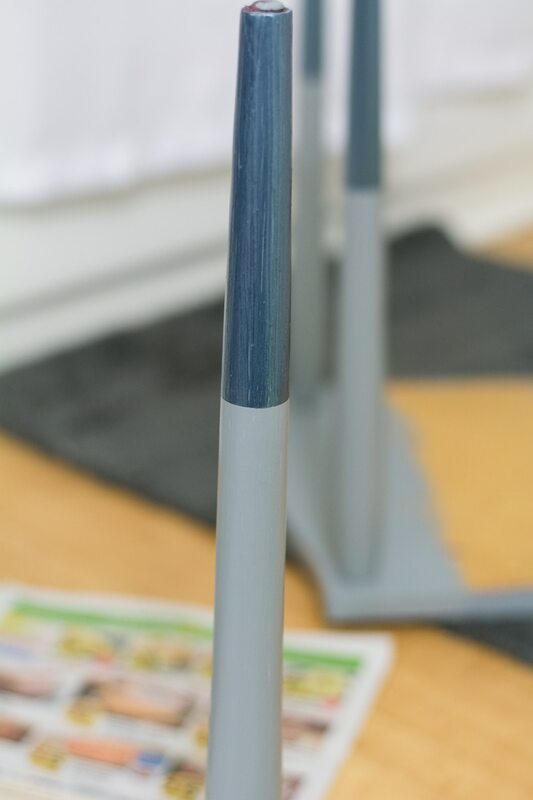 Then when the last coat of polycrylic is dry, I would put on the metallic effect. 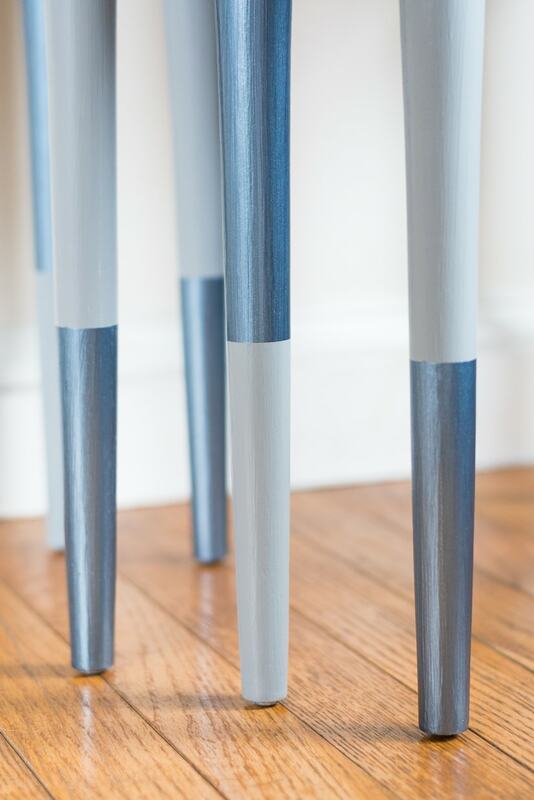 This metallic paint does not need a sealer–it cures to a hard finish on its own. And putting it on last will ensure no topcoat interferes with the sheen. Good luck!